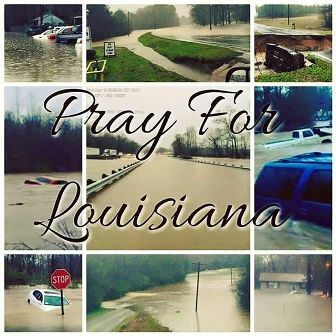 The whole team here at Pam’s VAS is praying for everyone in Louisiana who has been affected by the recent flooding. Our hearts go out to the many families who have lost their homes and for those who have tragically lost their loved ones. We encourage our followers to join the aid in the relief effort . For more info on how you can help, you may visit Nola, BRAF, American Red Cross, or see below. Accepting: Donations can be made online by going through United Way of Acadiana’s website. Accepting: Donations can be made online by going to the Capital Area United Way’s website. Accepting: Donations via a GoFundMe account, which PetCo is matching dollar-for-dollar up to $50,000. The shelter also has an Amazon Wish List. By making purchases on Amazon, needed items will be sent directly to the shelter. Accepting: Donations via a GoFundMe account. The society also has an Amazon Wish List. By making purchases on Amazon, needed items will be sent directly to the shelter. Accepting: Donations, 100 percent of which will be turned over to teachers who have lost classroom materials in the floods. They can be made online through APEL’s website. Teachers can also apply for the financial aid through the same link. Accepting: Donations to aid families in immediate and longterm needs. Accepting donations online. Accepting: Donations to help protect children and support immediate needs of families affected by flooding. They can be sent online. Accepting: Donations for its Louisiana Flood Relief fund. They can be made online. Accepting: Donations to help purchase emergency medications, medical equipment, appliances and transportation for flood victims in 10 parishes across Acadiana. Donations can be made online. Accepting: Donations for its Strategic Flood Response Fund. They can be made online through Paypal. Accepting: Donations to assist in cleaning, gutting and rebuilding homes for those affected by the floods. They can be made online. Accepting: Donations to clean up its Baton Rouge facility and repair and replace damaged items. They can be made online. Accepting: Donations to help those affected in Tangipahoa, Washington, St. Helena and Tammany parishes. They can be made online. Accepting: Donations to assist with cleaning and resupplying flooded East Baton Rouge Parish schools. They can be made online.